The Sefton Group operates a wide range of leisure facilities designed for all the family from tots to teens and beyond. Through its multi-screen cinema, its Bingo, slot machine and casino operations and its nightclubs, bars and restaurants, it provides a truly wide range of leisure facilities on the Island. The Palace cinema houses two screens, showing up to eight films a day at peak periods. Equipped with Dolby digital sound, and the latest 3D technology. 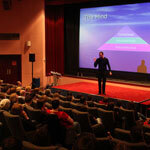 Available for private daytime hire for presentations or meetings and exclusive evening film performances. The ultimate night out. 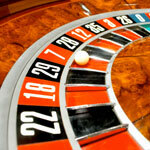 Choose from American roulette, blackjack, casino brag, or stud poker in the casino, or cash bingo, slot machines and computer generated roulette in the Kursaal. 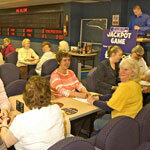 The casino also makes a glamorous setting for special events such as corporate gaming evenings. Sample a freshly brewed espresso or a superior Hennessy XO at the Ace's Bar, located within the casino. Meet friends or colleagues for a game of roulette or pre-dinner drinks. Take a break from our Gaming tables and enjoy some comfort food, offered from the Ace's Bar menu. Locals and guests alike enjoy light bites and snacks after a game on the slot machines at this Isle of Man bar in the Palace Casino. Take a break with a cold beer at this intimate venue before trying your luck with interactive blackjack. Daily sessions for up to 300 players, starting 6.40pm. Cash prizes paid. Available for special events such as corporate or charity evenings. Overlooking the sea, the lavishly appointed Palace Health Club features an indoor heated swimming pool and pool-side lounge area for light meals. The Palace Health Club also provides in-house beauty therapy services with Serene Spa, from sports massage to holistic therapies and advanced massages. Work out with free weights and cardiovascular equipment or hire a personal trainer to help you. Cool off with a swim in the pool and wind down in the sauna, steam room or Jacuzzi. Afterwards, grab a bite to eat in the caf� and relax whilst enjoying picturesque panoramic views across Douglas Bay. Children are welcome in the pool from 10.00am until 7.00pm on Monday to Friday with no time restrictions applying at the weekend and bank holidays. The brand new Tahiko nightclub opened in August 2013. Experience tropical luxury in an exclusive setting, every Friday and Saturday evening, from 10pm until 3am.The club comprises of an array of areas, to suit clubbers of all ages. The Red Room is a smaller more intimate room, with its own DJ playing retro 70's and 80's music, perfect for the more mature clubbers. 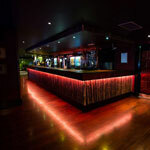 The main room DJ plays chart, RnB and dance music, lending itself to the younger more energetic clubbers, with its LED Dancefloor, smoke machine and excellent lighting. The Jungle Room is the perfect place to sit and share a cocktail and socialise with friends..whilst resting your feet.